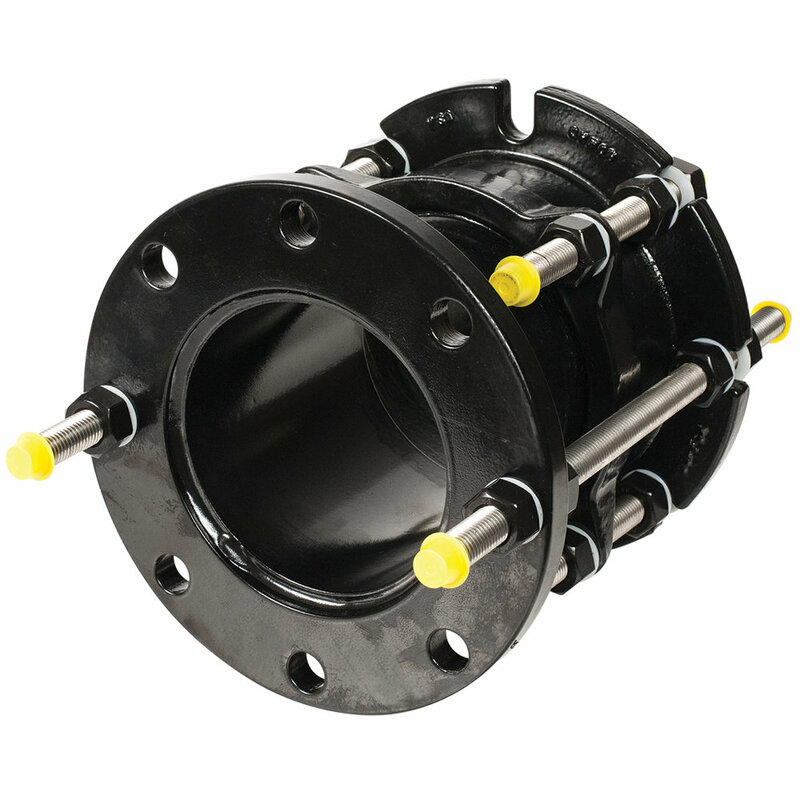 USE In pipelines where larger than usual longitudinal movements are concentrated. END PREPARATION Flanged, or beveled for welding. PACKING RING The packing ring and body are made of ASTM Body A36 steel. SLIP PIPE Slip is made of ASTM A240 type 304 stainless steel. Slip pipe is chemically passivated for maximum corrosion resistance. RUBBER PACKING Rubber packing material is made from NBR rubber compounded for water and sewer service in accordance with ASTMD2000. Other compounds are available for high temperature service and other chemicals. FLAX PACKING Flax packing is alternated between rubber packing and is provided for lubrication. It is suitable for water and sewer service. Flax packing for other service is available. BOLTS AND NUTS High strength low alloy steel bolts and nuts. Steel meets AWWA Standard C-111. Type 304 and 316 Stainless Steel bolts and nuts optional. 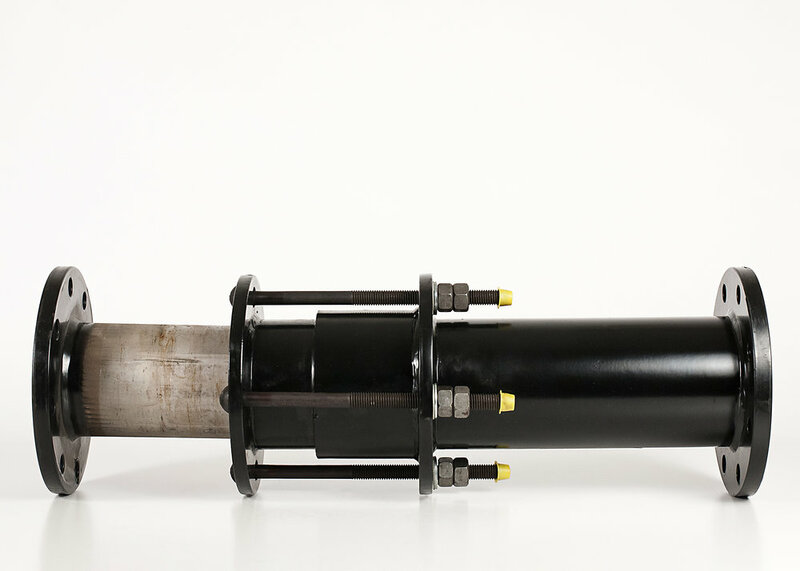 INSTALLATION Romac Style EJ 401 / EJ 403 expansion joints may be supplied with ends prepared for welding or with flanges (150 or 250 drillings available). Other methods of installation can be accommodated. Please contact your representative. LIMIT RODS Style EJ 403 expansion joint is supplied with limit rods to limit the travel of the expansion joint when two or more expansion joints are used in series. Consult your representative for proper application.